Have you ever wondered how Facebook knows how to suggest the right friend to tag? Speaking of it, how does the Google’s image search algorithm work? Yes, you are right, there is a neural network involved in all those tasks. To be more precise, we are talking about Convolutional Neural Networks. Even though it sounds like a weird mixture of biology and computer science (everything related to neural networks kinda sound like that) this is one very effective mechanism used for image recognition. Of course, it is motivated by biological systems and the ways the brain works, specifically visual cortex. Individual neurons in this section of the brain respond to stimuli only in a restricted region of the visual field known as the receptive field. Because these fields of different neurons overlap, together they make the entire visual field. This effectively means that certain neurons were activated only if there is a certain attribute in the visual field, for example, horizontal edge. So, different neurons will be “fired up” if there is a horizontal edge in your visual field, and different neurons will be activated if there is, let’s say a vertical edge in our visual field. In a nutshell, if there is a certain feature in our visual field, specific neurons will be activated and other won’t. This was proven by a fascinating experiment done by Hubel and Wiesel in 1962. Results of this experiment can be checked out in this video. So, how are Convolutional Neural Networks using this for image recognition? Well, they use this idea to differentiate between given images and figure out the unique features that make a plane a plane or a snake – a snake. This process is happening in our minds subconsciously. For example, when we take a look at the picture of a plane, we can identify it as a plane by distinguishing features like two wings, tale, windows, etc. 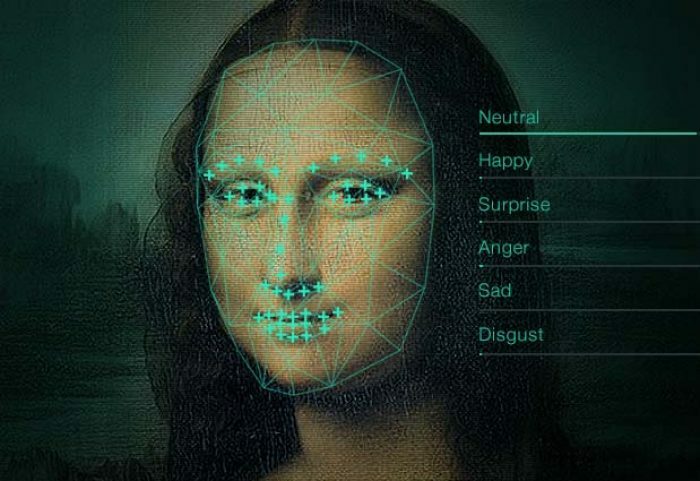 Convolutional Neural Networks do the same thing, but they are first detecting lower level features like curves and edges and then they build it up to more abstract concepts. Basically, in the end, Convolutional Neural Network uses standard Neural Network for solving classification problem, but it uses other layers to prepare data and detect certain features before that. Let’s dive into details of each layer and their functionalities. Firstly, we position the filter in the first location of the image, top left corner. There we use element-wise multiplication between two matrixes and store the result to the output matrix. Then we move that filter to the right by 1 pixel (also known as “stride”) and repeat the process. We do that as long as we can move our filter to the right. When we cannot do that anymore, we go to the next row and apply the filter in the same way. We do this until our output matrix is not complete. The reason our output matrix is 3×3 is that there are 9 positions in which you can fit the 3×3 feature in the 5×5 image. 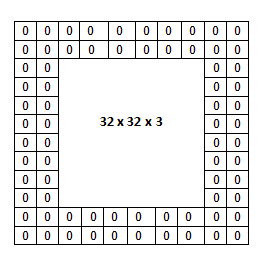 These 9 numbers are mapped to the 3×3 matrix. When we apply the first filter we are creating one Feature Map and detect one kind of feature. Then we use the second filter to create a second Feature Map that detects another kind of feature. These filters can be simple as we could see in the example, but they can get quite complicated if we want to extract some complex features from the image. Take a look at the image below, where multiple filters are represented. On the second image, the feature map, black values are negative ones, and after we apply the rectifier function, black ones are removed from the image. This layer is commonly inserted between successive convolutional layers in Convolutional Neural Networks. The functionality of this layer is to reduce the spatial size of the representation and with, that the number of parameters and computation in the network. This way we are also controlling over-fitting in our network. There are different pooling operations, but the most popular one is called max pooling and we will examine it in this article. The other pooling algorithms, like average pooling, or L2-norm pooling, work on the same principle, one which we will examine shortly. Here we will have a sort of a filter once again. Take a look at the picture below. We used the maxpooling filter size 2×2 on the 4×4 image. As you already guessed, filter picks the largest number of the part of the image it covers. This way we end up with smaller representations that contain enough information for our Neural Network to make correct decisions. However, a lot of people is against pooling layers, and replace them with additional Convolutional Layers with a larger stride. Also, newer generative models, such as variational autoencoders (VAEs) or generative adversarial networks (GANs), discard pooling layers completely. It seems that this layer will soon be obsolete. The final layer and the layer that does the actual classification is the so-called Fully-Connected layer. This layer takes input from the flattening process and feeds and forwards it through the Neural Network. What we have done basically, is that we fed this network with the detection of the features. If you need more information of how neural networks work you can check previous articles from this series. 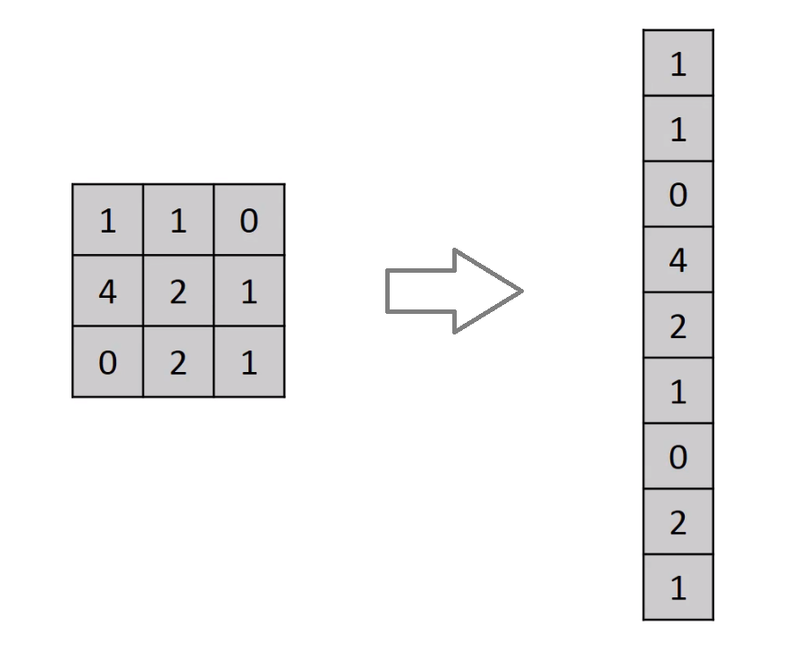 LeNet – This was the first successful application of Convolutional Networks. It was developed by Yann LeCun in 1990’s and it was used to read zip codes, simple digits, etc. AlexNet – This was the network that was presented in the ImageNet ILSVRC challenge back in 2012. It is actually the network that popularized the Convolutional Networks since it outperformed all other contestants by far. It was developed by developed by Alex Krizhevsky, Ilya Sutskever, and Geoff Hinton. GoogLeNet – The winner of the ILSVRC 2014 winner was a Convolutional Network from Google. They used average pooling layers to dramatically minimize the number of parameters in the network. There are several follow-up versions to the GoogLeNet. VGGNet – Convolutional Neural Network from Karen Simonyan and Andrew Zisserman that became known as the VGGNet. This network proved that depth of the network that is crucial for good performances. 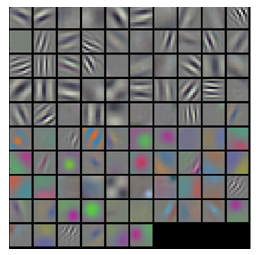 It has 16 convolutional layers. ResNet – Developed by Kaiming He et al. was the winner of ILSVRC 2015. You can watch this cool video in which topic is described in depth. In this article, we covered quite the ground. We examined biological motivations behind this type of Neural Networks as well as the mechanisms they work on. There are a lot of topics in here that we just scratched the surface of, since the field is wide and somewhat complicated. Still, it is a nice starting point for going deeper into the wide world of Convolutional Neural Networks. This article is a part of Artificial Neural Networks Series, which you can check out here.